Blue and summer just go together – whether it’s the nautical style of a New England weatherboard house or the vivid blue buildings of a traditional Greek island, it’s a colour associated with holidays, warmth and sunshine. It’s also having a moment in interiors, with bold blues appearing on soft furnishings and even walls, replacing the more subdued shades of the last few years. Our favourite thing about blue is just how versatile it is – it can be stately (like a Royal blue) or fun and zesty, like turquoise. 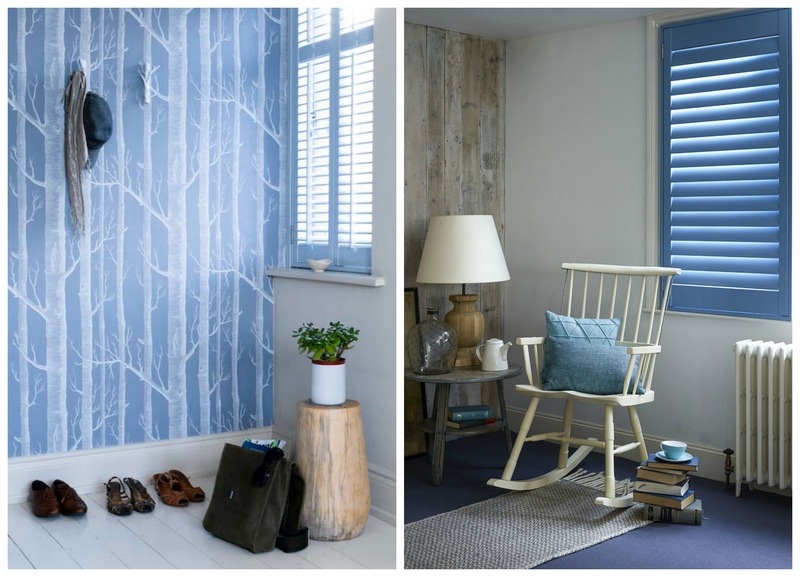 Here are three different ways to bring blue into a room that are all guaranteed to be right on trend for 2015 interiors as the weather warms up. 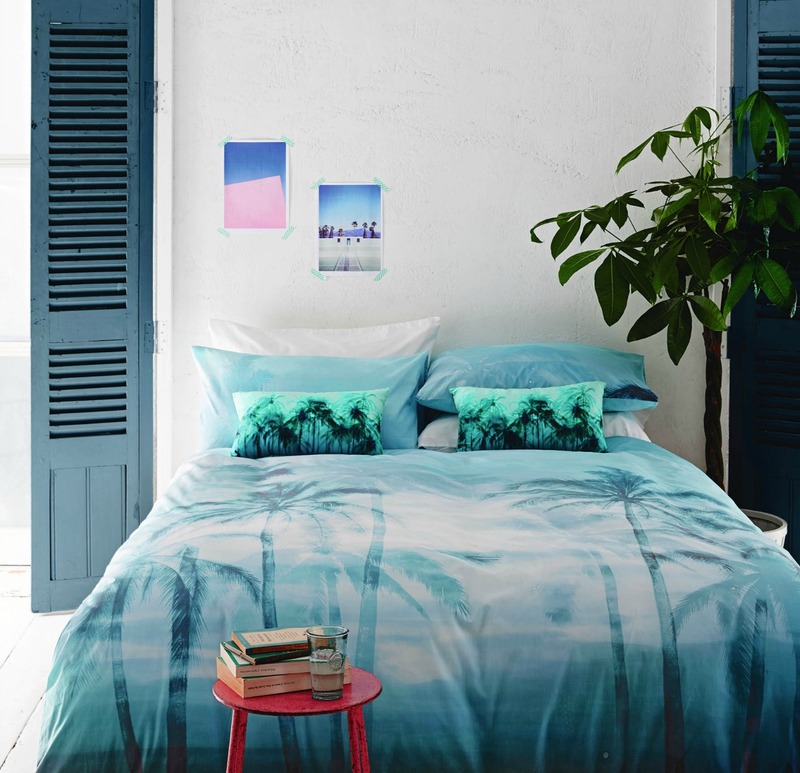 Usually thought of as cool and calming, blue can also be perfect for a tropical vibe. Think of bright aqua shades mixed with pops of pink or turquoise, with whitewashed walls to keep things looking light and some on-trend tropical plants. The inspiration here is from the vivid aqua hues you’d find on Miami’s Art Deco buildings, echoing the shades of the ocean. A much more organic look, and one with year-round grown-up appeal. Think dark, inky blues on textured fabrics like linen, either in solid blocks of colour or dip-dyed for a softer feel. Keep shapes for furniture and accessories simple – mid-century modern pieces work well – and add extra interest with textured pieces like folded paper lamp shades, sculpted glass and rough ceramic. 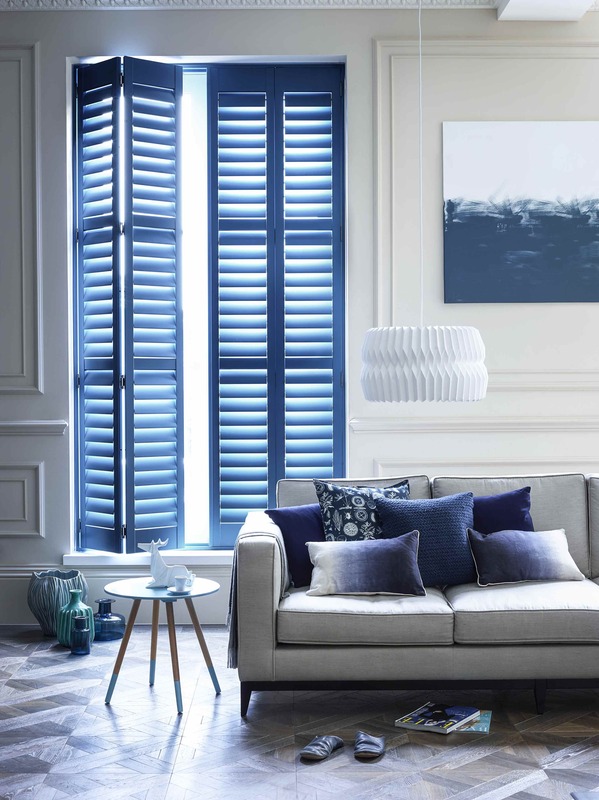 As this is a more sophisticated way to use blue, you can also emphasise room height for an extra edge of grandeur – dropped pendant lights will work, as will full-height shutters for a smart window solution.